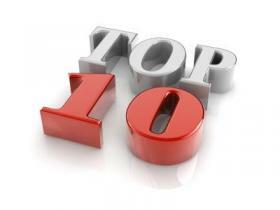 This week was an excellent week for recommendations and approvals after Eisai, MSD, Pfizer, BMS and ViiV scored wins. Meanwhile Britain’s cost effectiveness body NICE turned down Astellas’ Xtandi in prostate cancer. Nevertheless our top story looked at Gilead’s announcement they would be laying off one fifth of their workforce. The news came as shares in Indivior plummeted by as much as 70% amid fraud allegations. 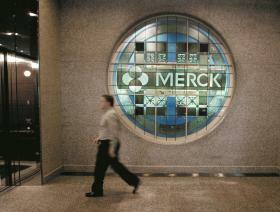 US firm MSD has won approval for Keytruda in China. The cancer immunotherapy has thus become the first PD-1 inhibitor approved for multiple tumour types in China. The approval makes Keytruda (pembrolizumab) a first line treatment option alongside chemotherapy for patients in China with metastatic non-squamous non-small cell lung cancer (NSCLC). The indication brought in more than $7 billion in sales in 2018. 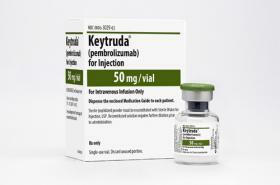 MSD’s anti-PD-L1 therapy Keytruda (pembrolizumab) has been awarded marketing authorisation in Europe for the first-line treatment of adult patients with metastatic squamous non-small cell lung cancer (NSCLC) when used in combination with carboplatin and either paclitaxel or nab-paclitaxel, it has emerged. Phase 3 data submitted in support of the application illustrated that the combo “significantly improved overall survival (OS)”, reducing risk of death by 36% compared to chemotherapy alone regardless of a patient’s PD-L1 tumour expression status. 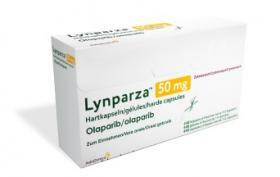 AstraZeneca and MSD have lifted the curtain on new Phase 3 data for Lynparza (olaparib), confirming that the drug generated a “statistically-significant and clinically-meaningful improvement” in progression-free survival (PFS) compared to placebo as a first-line maintenance monotherapy in germline BRCA-mutated (gBRCAm) metastatic pancreatic cancer in patients whose disease has not progressed on platinum-based chemotherapy. 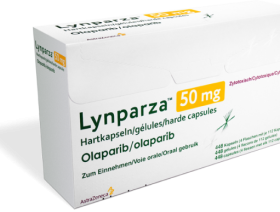 According to the pair, the data make Lynparza the first PARP inhibitor to demonstrate benefit in this indication at Phase 3. MSD has revealed new Phase 3 data which indicates that its blockbuster immunotherapy Keytruda (pembrolizumab), in combination with best supportive care, failed to meet its primary endpoints of overall survival or progression-free survival in the treatment of patients with advanced hepatocellular carcinoma (HCC) who were previously treated with systemic therapy. The company noted that both rates for the Keytruda arm of the study were superior to those in the placebo arm, but these did not reach statistical significance. 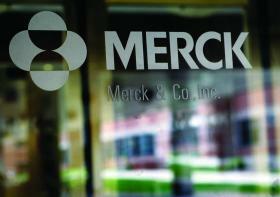 Merck & Co’s Keytruda (pembrolizumab) in combination with Pfizer’s Inlyta (axitinib) significantly extended the lives of those with advanced renal cell carcinoma (RCC) and delayed disease progression and death according to the results of a Phase 3 clinical trial. The combo outperformed Pfizer’s Sutent – the current standard of care first line treatment for advanced RCC patients. MSD has unveiled new Phase 3 data for its blockbuster anti-PD-1 immunotherapy Keytruda (pembrolizumab), showing that the drug succeeded in hitting its primary endpoint of improving overall survival (OS) as a monotherapy in the second-line treatment of of advanced or metastatic esophageal or esophagogastric junction carcinoma. The company said that the results represented the first time that an anti-PD-1 therapy has shown a survival benefit in this patient population.